We are currently advocating for the enactment of an environmental justice ordinance at the municipal level to bring greater transparency to the permitting process of environmental justice hazards. By enhancing community notification and public participation protocols for new polluting facilities seeking to relocate in our neighborhoods, this ordinance would be a strong complement to Connecticut’s landmark state-level environmental justice law. 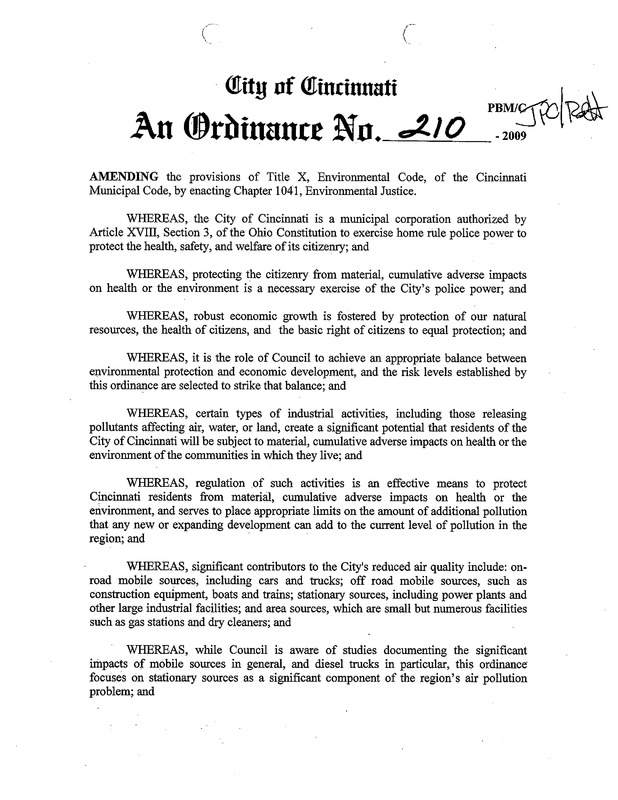 Cincinnati, Ohio passed a municipal EJ ordinance in 2009.